New Jersey WIC | JPMA, Inc. If you or someone you know might benefit from WIC services, please contact the clinic nearest you. You can find your closest clinic right in the app! 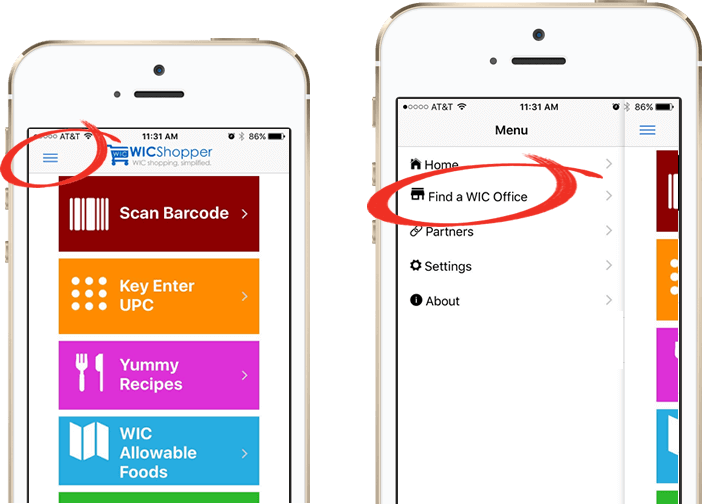 Tap below to find your WIC-eligible food guide! New Jersey WIC helps families save money and stretch their food budgets three ways. New Jersey WIC participants can use the Cash Value Voucher (sometimes abbreviated as “CVV” or called simply “vouchers” by retail businesses) to buy fresh, canned or frozen fruits and vegetables at stores and farmers’ markets, year round. Mothers can receive $11 per month in Cash Value Vouchers. Children from ages 2-4 can receive $8 per month in Cash Value Vouchers. From June through November, WIC participants can use Farmers’ Market Checks to buy locally grown fresh fruits and vegetables at eligible farmers’ markets. WIC Farmers’ Market Checks can not be used at grocery stores or other retailers. Mothers and children from ages 2-4 can receive $20 per month in Farmers’ Market Checks.